IBM celebrated its hundredth birthday last year. And for 40 of those years, the international technology leader has maintained a research lab in Haifa, Israel, its largest one outside the United States. While today it seems obvious that major corporations with heavy investments in R&D would want to have a division in Israel, in 1972, when IBM Research opened its Israel office, that was hardly the case. In fact, it was more a matter of IBM not wanting to lose one of its top scientists, Israeli-born Prof. Josef Raviv, who wanted to move back home. Raviv convinced IBM to let him “hire three to four scientists in the desert,” Oded Cohn, director of IBM Research in Israel, tells ISRAEL21c. That’s grown to a staff of 500 in Haifa today and another 500 employees around the country. Some of IBM’s most cutting-edge innovations have been developed in the Holy Land. IBM Research in Israel was an early pioneer in the development of ultrasound equipment to detect liver cancer, for example, and was involved in R&D on IBM’s large RS/6000 workstations used in the 1990s. IBM is helping reduce water leakage in agricultural use by installing tiny, yet highly sophisticated, sensors on irrigation water pipes. The sensors wirelessly transfer data about water pressure back to a central processor. If something seems awry, the system can pinpoint where the problem is without requiring a team of technicians to search by hand. Pressure can be adjusted remotely to forestall a potentially devastating burst before physical repairs are made. A major trial was conducted in Sonoma County, California. The same sensing technology can be installed on the crops themselves. “Developing a sensor with a few transistors that measures the humidity in a single plant is something that is not science fiction,” Cohn explains. These sensors would be able to transmit whether a leaf is healthy or diseased. The cost of transistors today is, in many cases, actually less than the cost of a grain of seed, Cohn points out. The long-term vision: sensors on every plant in a farmer’s field. Israel is a long way from IBM’s New York headquarters. But rather than viewing that geographic location as a disadvantage, Cohn says it’s been a key selling point. 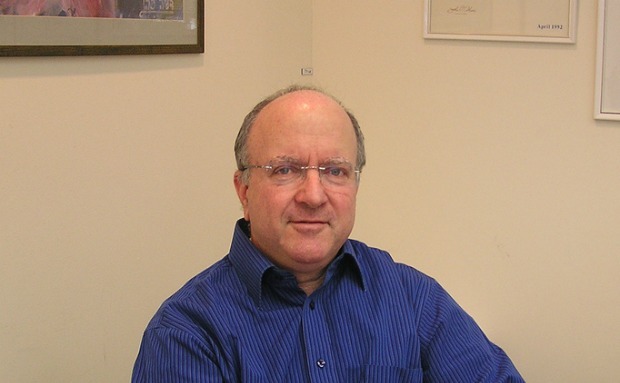 Oded Cohn, director of IBM Research in Israel. IBM recently opened a new lab in Kenya. The African country’s relative proximity to Israel has made the two facilities fast friends — in particular for the sensor technology being developed here and in high demand across the African continent. Indeed, crunching data intelligently has long been one of IBM Research in Israel’s greatest strengths. IBM assembled a database of DNA and disease information from 40,000 European patients, and “uses machine learning and deep analytics technology to understand what treatment works best,” Cohn says. Now, a doctor can simply type in a few parameters into a terminal hooked into an IBM server in Haifa and call up an appropriate recommendation. IBM is making the system available for free to physicians. Of course, the same techniques developed for the HIV project can be adapted for IBM’s paying clients in other areas of the burgeoning field of personalized medicine. Next on IBM’s agenda: mobile. The company bought Israeli startup Worklight last year for some $60 million. While IBM in general thinks first about its big clients, with Worklight, Cohn envisions a “democratization” of mobile app development.